The three things I want to share this Thursday are projects I plan to tackle in the near future. When I'm done I'll share photo's and tips. My sister is already in the process of making these shades. Maybe we can get photos and tips from her. I love roman shades, but they are so hard to find and don't look easy to make. 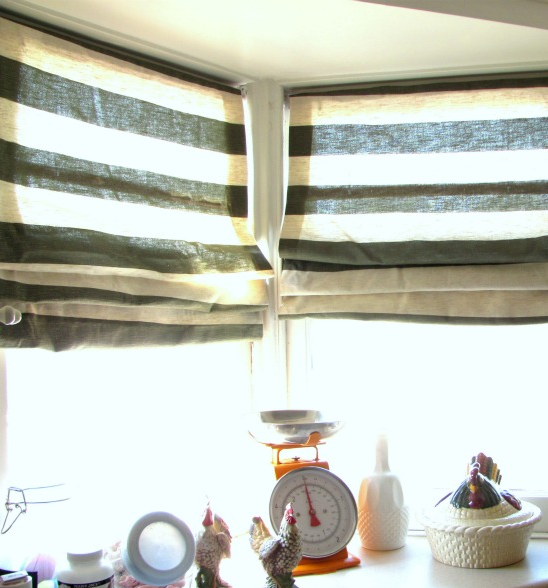 This idea I saw on Scoutie Girl's blog (using mini blinds) looks super easy. This next project looks like something my Grandma and I would have made together. 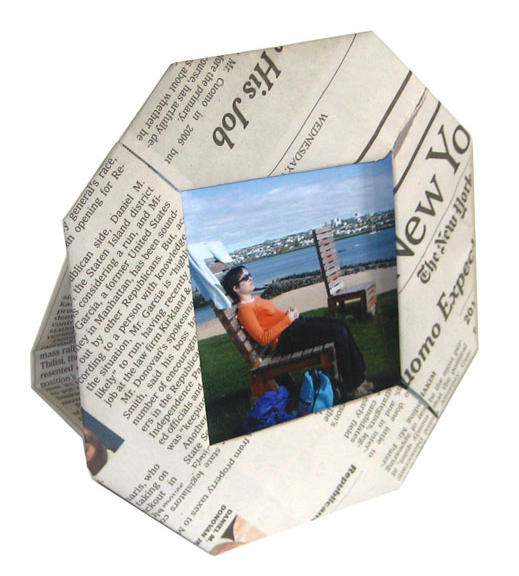 She once taught me how to make a little box out of old greeting cards. Yes... Grandma is thrifty and crafty too. I found this on the Craftzine site. Click the picture for step by step instructions. Now last, but definitely not least, I am going to put my own twist on recycled plastic bottle art. 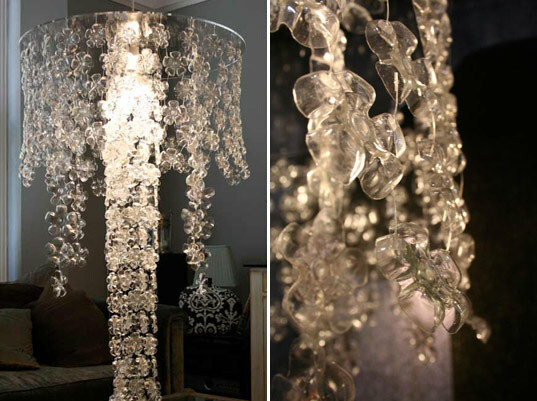 This artist (Michelle Brand) made a stunning chandelier using the bottoms of old plastic bottles. The bottoms of the bottles already resemble flowers, so that makes it easier.﻿ I think I'm going to use this idea in a project for outside. I think cutting a hole in the middle of each bottle bottom and inserting a light from a string of lights would look great. I don't know how easy that would be (I haven't tried it yet). But if it works, the garland of lights and flowers could be used outside or even on the Christmas tree! If you've tried any of these ideas, I'd love to hear about it and/or see pictures.